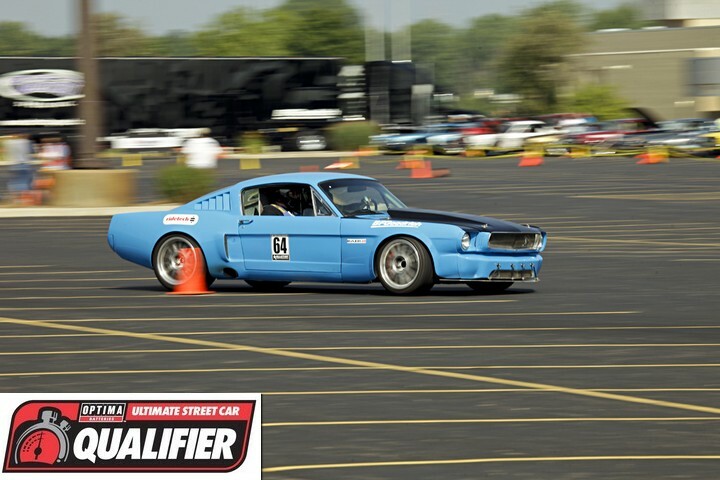 The OPTIMA® Ultimate Street Car Invitational is always one of the most-highly anticipated automotive events of the year. This year, OPTIMA Batteries and Pfaff Designs are giving OUSCI fans a unique opportunity to attend the world premiere of this event and meet some of the participants from it. The premiere will take place on Saturday, March 9th at 8PM at the Park Bar Elizabeth Theater, 2040 Park Avenue, in Detroit, Michigan. The premiere is sponsored by OPTIMA Batteries, Hagerty Insurance, Pfaff Designs and Motor State Distributing and we hope you can join us for food, drinks, fun and prizes, as we watch the crowning of this year's champion. Just print out this invitation and bring it with you to the Park Bar Elizabeth Theater, but don't be late. 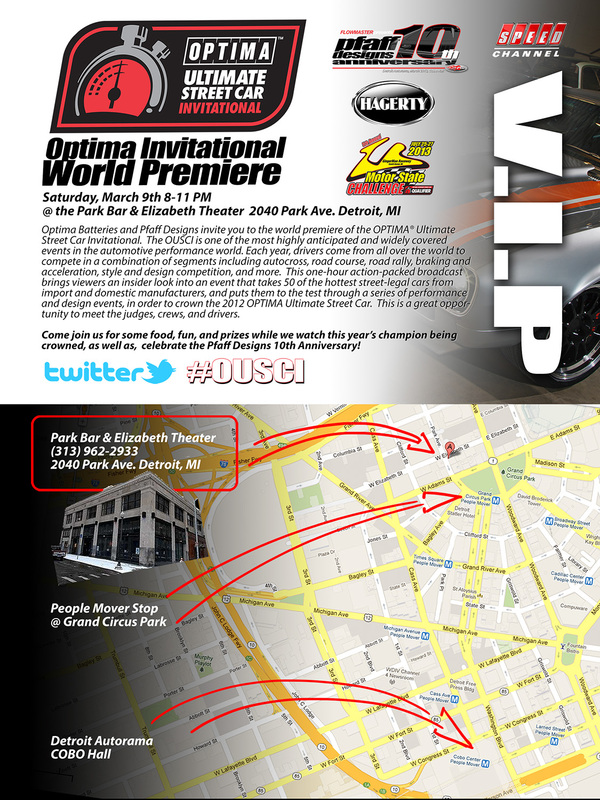 You can also stop by the Pfaff Designs booth at the Detroit Autorama and pick up an invitation there. The event starts at 8PM, but space is limited. While this invitation is the only way to get in, it doesn't guarantee entry for late arrivals. We hope to see you there!